To effectively prepare learners for success, teachers can emphasize cognitive skills in addition to content in their classrooms. The cognitive skill generating conclusions challenges students to analyze the truth and validity of their own and others’ thinking. Problem solving is a cognitive skill that has significant application in school and outside the world of academics. 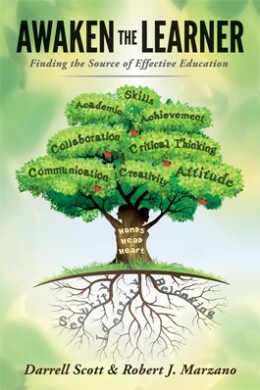 In order to create an environment that encourages student growth, a teacher must examine the classroom culture and climate he or she cultivates. Teachers should monitor how they express the three elements that create classroom culture—expressions, encouragement, and expectations—in order to create a warm, inviting, and safe environment. Teachers should control how their classroom embodies the three elements of classroom climate—setup, scenery, and senses—and assess how these three elements connect to students’ perceived sense of safety. Teaching knowledge has always been an essential component of the American school system, but recent instructional standards have also highlighted the importance of teaching cognitive skills. Cognitive skills, such as generating conclusions, problem solving, experimenting, and decision making, are thinking processes that promote a deeper comprehension of complex ideas. Teachers can directly teach cognitive skills to assist students in challenging, refining, and repurposing their understanding of lesson content. After instructing students on a cognitive skill directly, teachers can use cue words to indicate when it should be implemented. For example, cue words for decision-making processes could include “decide,” “select the best among the following alternatives,” and “which of these is most suitable.” In addition to helping students engage with and understand content in new and complex ways, cognitive skills carryover into students’ lives outside of school and can influence their success in college and future careers (pp. 107; 110–111). Conclusions are formed when one accepts that certain premises about an idea are true and uses these premises to make a judgement about a person, topic, or idea. Teaching students how conclusions are generated gives them the tools to vet their own and other’s conclusions for both validity and truth. A conclusion is valid if its reasoning is logical and follows from its premises, and a conclusion is true if the foundational premises are accurate. Even if the logic behind a conclusion is valid, the conclusion itself can be untrue if it is based on one or more faulty premises. When students analyze how conclusions are formed, they are also investigating how people think. This skill can potentially help students understand why others hold the opinions that they do and what ideas influence the judgements they make in everyday life (pp. 111; 114–116). In order to solve a problem, students must first be able to identify a problem and what obstacles or constraints limit their ability to find a solution. Once they define these aspects of a problem, students can evaluate the importance of what they wish to achieve, possible solutions, the help and resources available to them, and the likelihood of success. Teachers can ask students to use problem-solving strategies to examine conflicts encountered in history, literature, current events, and in students’ personal lives. Learning to use problem-solving strategies in everyday life can also help students view problems from new perspectives and approach long-term goals with less anxiety (pp. 116–122). Students best learn in environments where they feel safe. In order to create a safe environment that facilitates growth, a teacher must think about how the classroom’s culture and climate interact. Culture is the general atmosphere of a classroom and encompasses how a teacher’s interactions with students create a positive or negative emotional environment. Climate, on the other hand, pertains to the physical setting of the classroom itself and how it does or does not promote a positive learning environment. When a classroom’s culture and climate are positively aligned, teachers can maximize their students’ ability to learn (pp. 60–61, 66). Classroom culture is composed of three elements: (1) a teacher’s expressions, (2) a teacher’s encouragement, and (3) a teacher’s expectations. Expressions are the nonverbal communications, such as body language and facial expressions, that teachers (and students) exhibit in the classroom. Encouragement consists of sincere gestures that teachers use to show that they believe in and respect their students. Finally, expectations—what a teacher believes a student is capable of—should always be high for all students in a class. When a teacher monitors and positively adjusts these three elements of classroom culture, he or she is taking steps to ensure a warm and productive learning environment (pp. 61–66). Classroom climate, like classroom culture, is also composed of three elements: (1) a classroom’s setup, (2) the “scenery,” and (3) how the five senses are affected by a particular space. Classroom setup involves how various aspects of the physical layout of a classroom, such as the seating arrangement, contribute to its learning environment. The “scenery”—or the décor—includes how a teacher chooses to decorate a classroom and how these decisions create a positive or negative learning environment. Finally, considering the senses (sight, smell, taste, touch, and hearing) requires that teachers assess how different aspects of the classroom affect the five senses and how these sensations further a pleasant and comfortable learning atmosphere (pp. 67–74).